Americana… what exactly describes the heyday of American culture, the very essence of our country? Historic US Route 66. I am sure if you asked many high school students today, they would have no idea what Route 66 is or maybe they will say it is the largest drink you can order at Sonic. Sadly, I was born after US Route 66 had been taken off the maps and long after several interstates had all but killed off this once prosperous road known simply as “the Mother Road” or “Main Street America”. The birth of US Route 66 was in Springfield, Missouri on April 30, 1926 when the name was first proposed for the Chicago-Los Angeles highway. 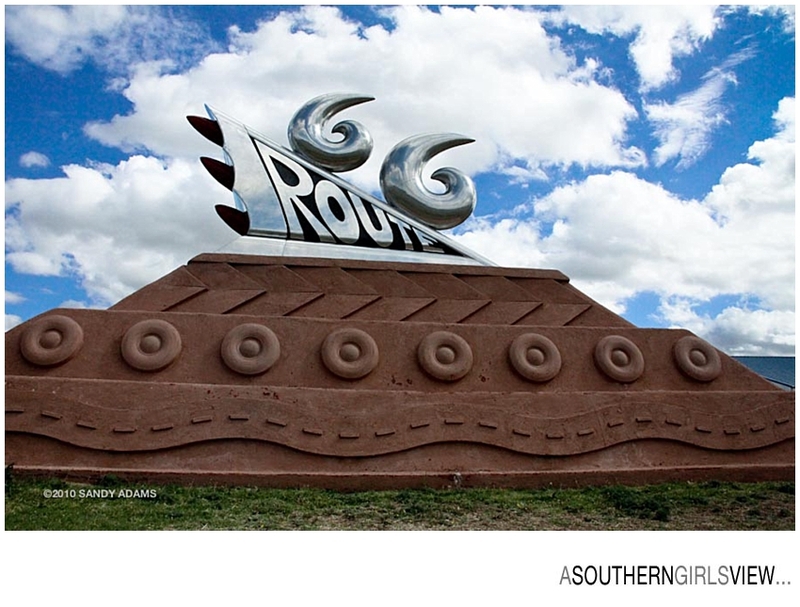 The actual birth of Route 66 began long before its name was even proposed. The “birth” idea began way back in 1857 (prior to the US Civil War) when Lt Edward Fitzgerald Beale, a Naval Officer in the US Army Corp of Topographical Engineers was ordered by the War Dept to build a government-funded wagon road along the 35th parallel – this would eventually become part of US Route 66. US Route 66 was officially established on Nov 11, 1926 (other major events that same year were the 1st talkie movie shown in NY and Henry Ford announced 8 hour, 5 day work week). Signs for the road followed in 1927. The road that was to come would, at its hey day, run from Chicago, IL through Missouri, Kansas, Oklahoma, Texas, New Mexico, Arizona, and California ending in Los Angeles. This road, that would change America, would extend for 2,448 miles in length. Even with the onset of the Great Depression, life along Route 66 began to thrive. As people moved westward to hunt for better jobs, many as a result of the Dust Bowl of the 1930s, small towns along the route and the businesses that sprang up began to thrive even as the economy faltered. 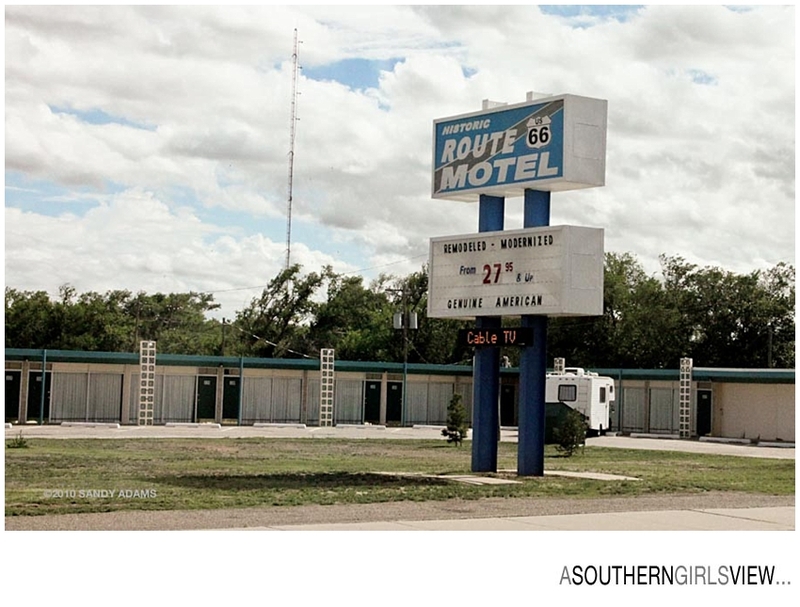 Route 66 even gave us a hit song and a hit tv show, plus the drive-thru, the motor inn and the mom/pop business concept. The culture that developed along this main street of America took on a life force and became “the way” to travel. This road of culture transcended all avenues of American life then and for many years to come. But as great as everything is nothing can stay the same. Thus it was June 27, 1985 that US Route 66 was officially removed from the US Highway System, but the road had begun its decline years before. Since 1985 and as a result of big movies and reminders of what was great, many states have started resurrecting portions of its historic route. The 2006 Disney movie, Cars, is centered around this historic road thru America and put a big spotlight on the forgotten main lane of America. Cars is one example that helped spurred the national revitalization movement that has taken place over the past few years. 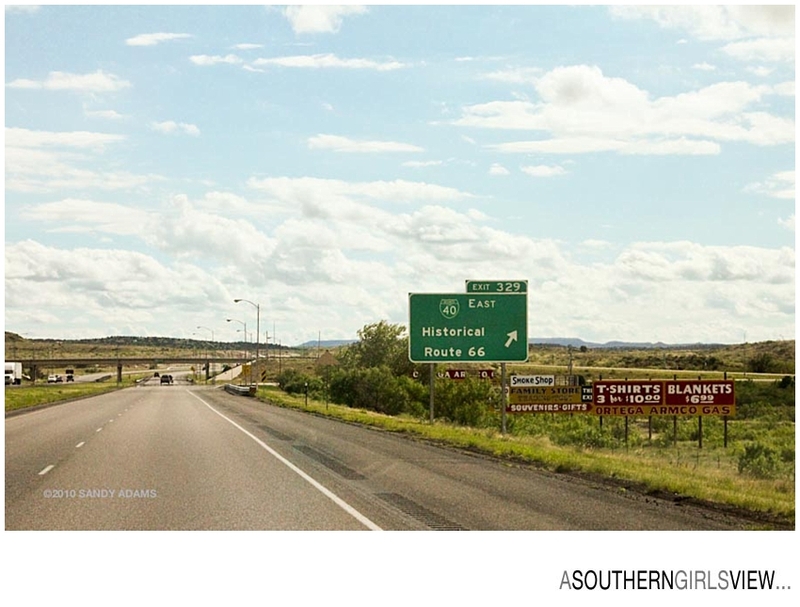 Four states have even officially named their portions of the route as a National Scenic By-way (Illinois, Missouri, New Mexico and Arizona) in attempt to revitalize the route and spur tourism back to those forgotten cultures along the road.